Discover ways to serve your church and our community! We hope you will find something that interests you in the list below. If you have specific questions about a listing, please contact the appropriate person listed below. Not sure where to serve? Please fill out our Time and Talents Survey and let us know your skills. This will help us match you with an opportunity to serve. Ready to view volunteer signups? Please fill out a one-time profile form in our volunteer management platform. Once submitted, you will receive a login and then can view all available jobs and signups. To access our main Volunteer Scheduler Pro login screen, click here. Click on the opportunity name in each section below to expand a description. Help feed people experiencing homelessness daily on the streets of Austin; coordinate teams who prepare and deliver food; help with food preparation; deliver food in MLF truck; buy supplies; sort and stock supplies; and clean and repair truck. Items needed are travel-sized toiletries (shampoo, toothbrushes, toothpaste, razors). To get involved, contact Scott Wilder at swilder21@gmail.com or (512) 971-1525. Not sure where to start? Try our Mobile Loaves and Fishes 3rd Sunday. MLF serves daily, but this day is for individuals and families who want to try face-to-face service working with experienced volunteers. Join the Make-Ready Team from 4:00-5:00 p.m. (preparing food and loading truck) and/or the Truck Team from 5:00-6:30 p.m. (delivering food around Austin). Sign up at fumcaustin.org/mlf. FreeStore Austin, a cooperative ministry of the Capital District and mission partner of FUMC, has now reopened at its new home at Memorial UMC Gym 6100 Berkman Drive Austin, TX, 78723. Members of FUMC are invited to serve together each third Saturday from 8:45 a.m.-11:00 a.m.. 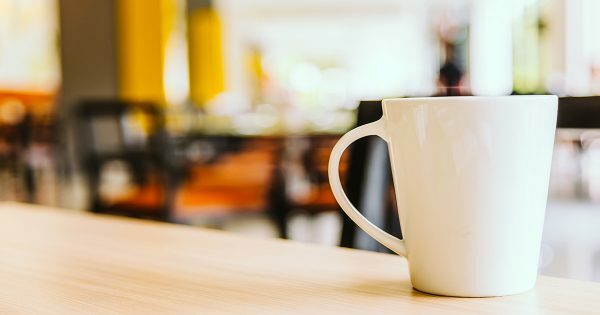 Serving opportunities include assisting shoppers; bagging items; providing hospitality; sorting organizing, and shelving donated items; and sharing stories over a cup of coffee. There is something for everyone-children, youth, individuals, and families. There is currently no signup, so just show up and serve.The FreeStore is open for shopping Wednesdays 11:00 a.m.-1:00 p.m., Saturdays 9:00 a.m.-11:00 AM. Donations are received Mondays and Wednesdays 10:00 a.m.-1:00 p.m. and Saturdays 9:00 a.m.-11:00 a.m. To find out more about the FreeStore, visit freestoreaustin.org or contact Pastor Cathy at cathy@fumcaustin.orgor 512-478-5684 (ext. 215). Feed My People Fourth Tuesday Homeless Breakfast – Help with preparing, cooking, and serving food; then cleaning kitchen and Great Hall of Family Life Center; and visiting with our guests. Held every Tuesday and Thursday morning in the Family Life Center, and sponsored by FUMC on the 4th Tuesday of each month. To get involved, contact David Nicastro at baer-nicastro@austin.rr.com or (512) 306-9342. Help support the students and staff of Pickle Elementary by volunteering for the twice-annual book drive. For the past eight years, our generous members and their circle of friends have donated thousands of new and gently used books to support literacy initiatives at J. J. Pickle Elementary School. Each book sells for 25¢ so that the students, teachers and parents have a stake in this popular partnership. 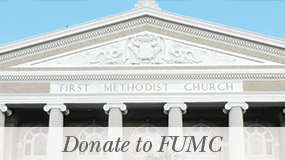 Every penny collected at the book sales goes into the FUMC account dedicated for Pickle. To get involved, contact Bergan Casey at bergan.casey@gmail.com. Pickle Elementary students need tutors to help them finish their classroom and homework assignments across subjects. Most of the students at Pickle are children of Spanish speaking parents who are unable to teach their kids because of language and education barriers. If you have 30 minutes each week anytime between 8:00 a.m. and 2:30 p.m., please sign up. The school will match you with a student and we will confirm the schedule. To get involved, contact Bergan Casey at bergan.casey@gmail.com. Serving as an Usher or Greeter is an excellent opportunity to meet other members, make new friends, and welcome visitors to FUMC Austin. The commitment is one Sunday a month at either the 9:00 or 11:00 a.m. service. If you are interested, please contact Richard Bettis at rbettis@austin.rr.com. The Audio/Visual Team needs two volunteers at the media center in the balcony each week to run worship slides and adjust audio. No experience is necessary and training is provided. Commitment is one Sunday per month. If you are interested, please contact Kim Block at kpblock@austin.rr.com. Communion Helpers are needed to help prepare communion. Setup includes purchasing the bread, setting up the altar, and cleanup after service. Communion is served every week at 9:00 a.m. and 1st Sundays at 11:00 a.m. If you are interested, please contact Teresa Edwards at teresa4858@sbcglobal.net. A liturgist (reader) can be a lay person chosen by the pastor to read the scriptures or liturgy during worship. The pastor provides you with the readings several days prior to the service allowing you time to become “comfortable” in reading to the congregation. If you are interested in serving as a liturgist, please contact the Marcia at the office 512-478-5684 or marcia@fumcaustin.org. 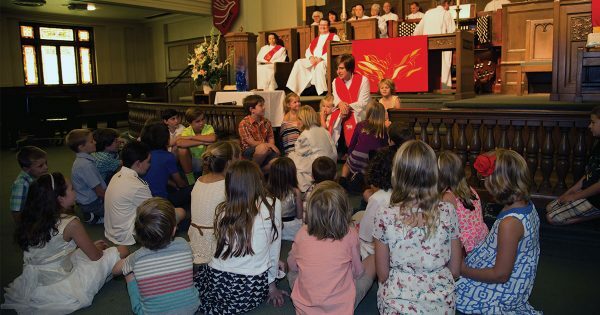 FUMC worship services are led by a team of acolytes each week. The acolytes are children who have taken a training class. The acolytes lead the procession by bringing the “Light of Christ” into our worship service and lighting the candles. The acolytes extinguish the candles at the end of the service and remind us that each of us is called to carry the “Light of Christ” out into the world as they symbolically leave with their wands lit. Any child in 3rd grade or higher is invited to attend acolyte training and to become a part of this very special ministry. Please email children@fumcaustin.org if your child is interested in serving as an acolyte. Looking for someone to answer phones and greet people as they enter the office area on an occasional basis, Tuesday, or Wednesday or Thursday mornings, from 10-2 PM, or as your schedule permits. Volunteer weekly, or monthly. Whatever fits into your schedule. If you are interested in helping out, even if only once a month, please contact Marcia at 512-478-5684 or marcia@fumcaustin.org. This requires 1-2 hours weekly on a Thursday morning, typically from about 9-11 AM. It is “assembling” the bulletins for the 9:00 and 11:00 worship with inserts and having them ready for the ushers on Sunday morning. If you are interested in helping, please contact Tami Kellberg at 512-478-5684 or tami@fumcaustin.org. There are several opportunities to serve as a steward in our beautiful sanctuary- keeping supplies stocked in the pews (pencils, envelopes, special envelopes, prayer concern cards, etc.) , replenishing the attendance folders, and other duties. It would require about an hour per week or less, if we have several people helping. This could be done following the 11:00 worship service or sometime during the work week. It is a task that should be done weekly in order to keep up, however, if you can only help out once or twice a month, that is great. This is a perfect opportunity for a couple or a family to “help” at the church and be in service to your congregation. It is a simple task but a task that needs to be done. Please consider volunteering your time. If you are interested, contact Marcia at the church office Monday thru Thursday, 9-6 p.m. at 512-478-5684 or marcia@fumcaustin.org. Friday and Saturday rental events all need a presence from FUMC members who are knowledgeable about the facility. Might also include hospitality for all-church events such as Wednesday Night Live. Activity: unlock doors and lock up at the event end. Be available to answer questions about where things are and how they work in the facility during the event. Be responsible for calling the on-call staff member in case of an emergency. Do a walk-through with the renter at the end of the event to see that the facility is in good order. Training will be provided for team members. Time requirement: Events are usually evenings, Thursday evening through Saturday evening, Variable amount of time depending on the event. If you are interested in serving in hospitality, please contact Marilyn Good at 512-478-5684 or marilyn@fumcaustin.org. 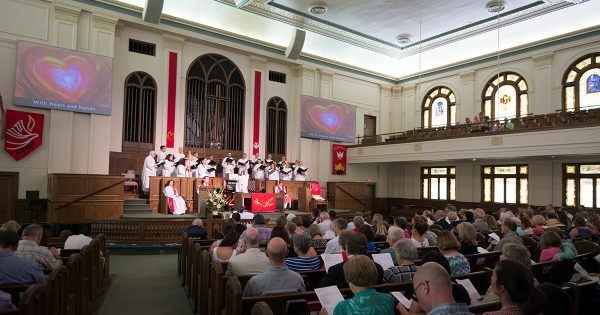 FUMC facilities are used for a variety of events, the largest of which is the Texas Book Festival. 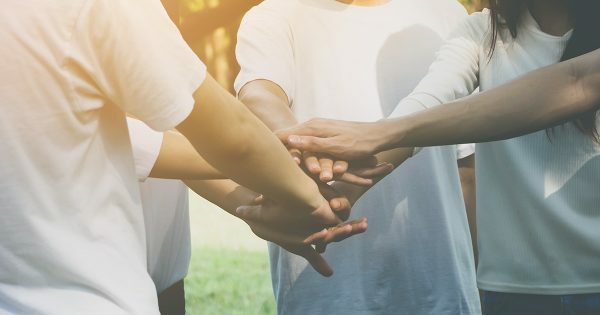 We need members on site during these events to help people find their way around the buildings, answer questions, and provide a friendly FUMC face. Time requirement: Variable depending on type of event Activity: Welcome, guide, know about FUMC buildings and history, answer questions Usual hours: weekend days or evenings. If you are interested in serving in hospitality, please contact Marilyn Good at 512-478-5684 or marilyn@fumcaustin.org. Traveling youth or service groups often spend the night in our Family Life Center. The Guest Hospitality Team Member welcomes them and introduces them to the FLC and our use policies. Overnight Guest Hospitality team will receive training. Time requirement: 1-2 hours per visit Activity: Unlock the doors, welcome the guests, do a walk-through of the FLC using our overnight guest guide as an outline to introduce them to our space and their use of it. Answer any questions. Usual Times: Evening hours. If you are interested in serving in hospitality, please contact Marilyn Good at 512-478-5684 or marilyn@fumcaustin.org. 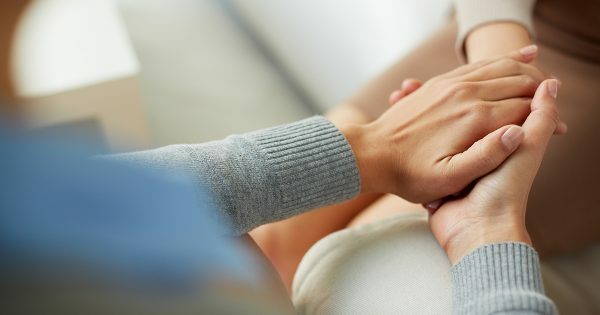 The Comfort and Joy Ministry provides love, nurture, and support in the highest and lowest moments of life. Some deliver baby blankets and food for those welcoming a new baby, while others help with the memorial service and reception for members and friends who have lost a loved one. Contact Co-Chair-Virginia McCarroll at lmccarroll@austin.rr.com or Co-Chair: Debbie Rippetoe at drippetoe21@yahoo.com. The “Knit Wits” Prayer Shawl Ministry gathers on the fourth Tuesday at noon of each month to prayerfully knit and crochet prayer shawls for distribution to anyone in need of prayers or is suffering. Don’t know how to knit? No problem, they’ll teach you! Contact Carol Dickerson at imcookietoo@gmail.com or 512-345-0619. Makes arrangements to have the blood bank come to the church four times a year. They also schedule members who wish to donate blood. Contact Randy Teich at rteich@austin.rr.com. The Prayer Callers Ministry conducts a few weekly telephone calls to those who offer prayer concerns during Sunday worship services. Contact Dianne Render at whatisthebuzz@att.net or 713-468-7884. Drive-a-Senior West Austin provides transportation for older adults to enhance their ability to continue to live independently. Volunteer opportunities are strictly at your convenience rather than a specific day and time. Contact Chair, Tom Ausley at tausley@gbafamilylaw.com. The Silver Link Ministry visits FUMC members who live dependently but are no longer able to attend Sunday School or church. Visits on a monthly basis to members who are in nursing homes or assisting living facilities. Individuals are identified by zip code to assist the volunteer’s visit. Contact Chair, Judy Breckbill at judybreckbil25@gmail.com or 713-825-0341. Sunday School Teachers serve one hour on Sunday mornings as an assistant teacher in our children’s classrooms. To get involved, contact children@fumcaustin.org. Choir Helpers serve on Sundays during the school year from 12:00-1:00 p.m. to assist our children’s choir. To get involved, contact roxie@fumcaustin.org. Sunday School Teachers serve one hour on Sunday mornings as a volunteer in one of our Youth classrooms. To get involved, contact devon@fumcaustin.org. During the school year, the youth need meals during their Sunday night Engage from 4:30 p.m.-7:00 p.m. Meals are brought into the kitchen on the 2nd floor of the Family Life Center and serve approximately 30 youth and volunteers. To get involved, contact devon@fumcaustin.org. 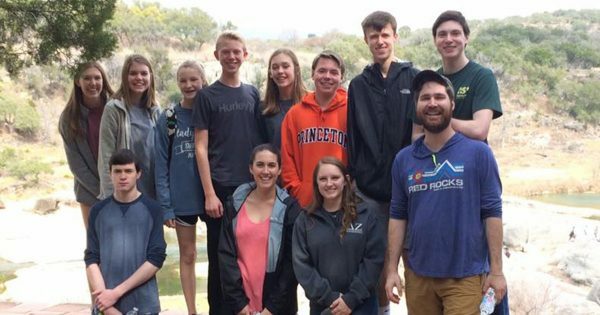 Mission Trip Helpers serve on one of our middle or high school mission trips with our youth. To get involved, contact devon@fumcaustin.org.